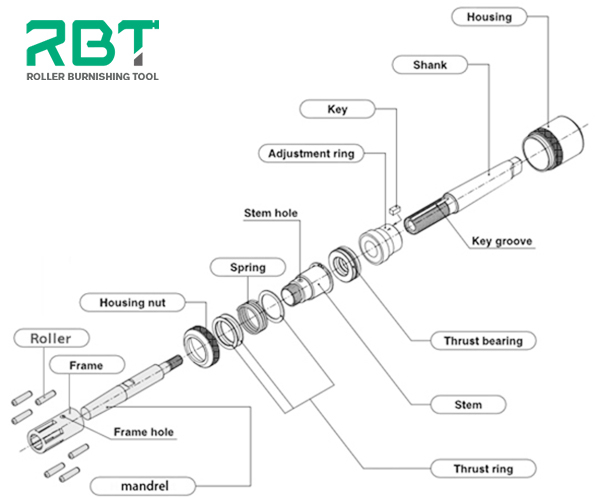 Roller burnishing tools, extruding machine, extruding tool, skiving and roller burnishing tool, superfine burnishing rolling head is a special tool for machining holes and shaft parts with no cutting rolling principle. 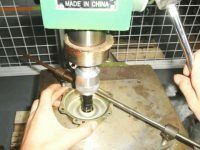 The surface of the metal surface has a plastic deformation, so that the workpiece reaches the mirror. 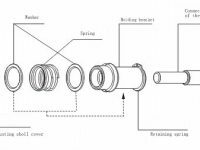 The precision of workpiece dimension is guaranteed, and the wear resistance, corrosion resistance and fatigue resistance are obviously improved. Burnishing rollers have been widely used in aviation, automobile, motorcycle, hydraulic pneumatic and electromechanical industries. We have steadily improved the quality and efficiency of our products, and have been well received by our customers with high precision and reasonable price. After rough machining of the workpiece, the surface roughness can be reduced to ra0.2um — 0.05um, from around the Ra6.3um. With mechanical fine tuning device, the deviation control is very accurate (within 5/1000mm), and the mass production size is the same. Through hole, blind hole, taper hole, outer cone, hole end face, step shaft can be processed. After rolling, the hardness of the working surface can be increased by 40HV, which improves the fatigue resistance. This tool is small in size and easy to operate, and has low maintenance cost in the long term (parts with wear and tear can be replaced). It can be used in cars, boring, drilling, milling, CNC machining centers and special production lines, replacing and better than traditional grinding, honing, grinding and other processes.